Understanding Turkey takes both time as well as effort, but what else do you expect from a country that spans two entire worlds? Turkey is confused. It’s been confused for quite some time, in fact. Straddling the Bosporus, the country has its feet planted in both Europe and Asia (or Asia Minor, if you’re feeling classical). Politically, it has long been leaning towards Europe and is currently petitioning the European Union for admission; socially and religiously, though, Turkey is less certain about its future. Indeed, politics in Turkey is a sticky issue, best left well alone especially if you’re in the company of Turks. Despite holding regular elections and having a democratically chosen parliament, Turkey has clung firmly to laws that seem strangely out of place in the modern world. Criticizing the country publicly can lead to a prison sentence and exile; criticizing Atatürk — the modern nation’s founding father — attracts a similar penalty; mentioning the Armenian Holocaust, in which as many as 1.5 million Armenians were killed by the Ottoman regime between 1915 and 1917, is also strictly forbidden. The Turkish government, along with a majority of the Turks themselves still angrily deny that such an event ever took place and do not take kindly to being contradicted. Despite Islam being the majority religion in the country, the divide between Mosque and State is sternly enforced: all state employees including teachers and civil servants are strictly forbidden from wearing religious symbols (most noticeably the headscarf); alcohol is not as freely available as it is elsewhere in Europe, but beer and raki (a popular anise-flavored apéritif in Turkey) are still served in many restaurants and cafés, especially in the western part of the country. Yet, this is a country of contradictions: despite the ostensible unimportance of Islam in Turkish society and its total exclusion from the business of government, every day at 5 p.m. the country reverberates to the haunting sound of the muezzin’s call as 40 million Turks make their way to prayers. 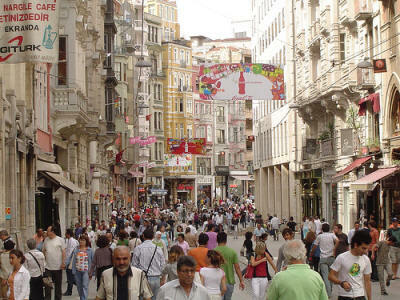 Geographically, the differences between Turkey’s developed, touristy provinces in the West and the wild, mountainous regions of the East which border Syria, Iraq and Iran, are every bit as stark as the paradoxes inherent in its society. Resorts like Bodrum, on the country’s western Mediterranean coast, sport all of the usual tourist hotels, English-speaking cafés and sight-seeing boat tours around the islands; yet the eastern provinces of Mardin and ?irnak are as remote as any part of the Middle East. The situation in these areas is complicated further by the insurgency being waged by the PKK (the Kurdistan Workers’ Party), a well-equipped, heavily-armed and well-funded Kurdish separatist group. Leave to visit such areas is rarely granted by the central Turkish government; officially this out of concern for the safety of any adventurous tourists but, more likely, it’s to keep nosy journalists from getting too close to the Turkish army’s operations in one of the region’s most fiercely disputed separatists conflicts. However, despite the odd bomb attack (the last one occurred in Marmaris in 2006), the conflict rarely spills over into the western portion of the country, where the sweeping, scrubby mountains lead down to the sun-scorched shorelines interrupted only by a string of high-rise resorts. The scenery in this part of the country is breathtaking. Despite the heat, which can reach well above 100 degrees Fahrenheit at the height of summer, the interior is well-irrigated and is surprisingly green. 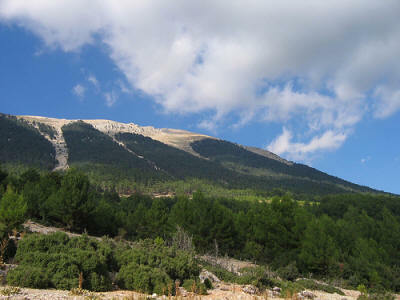 The many ranges of high mountains have their slopes draped in a verdant blanket of cedars and Mediterranean pines. Unspoiled villages and ancient Greek and Lydian grave sites are, apparently, plentiful up in the mountains. Venturing off the beaten track can, apparently, transport you back two hundred years into a poor but healthy world of donkey carts, olive groves and citrus orchards. Try as I might, though, I couldn’t quite find this rural idyll that my Turkish guidebook was so excited about. The closest I came was being ripped off to the tune of $9 by an elderly Turkish peasant for a watermelon she was selling by the side of the road. In the end, I decided I didn’t want the watermelon that badly. This experience set the tone. In the bazaars of the coastal towns almost nothing has a price on it: how much you pay depends on how gullible you look and whether or not you can speak enough Turkish to argue with the vendor. Inflated prices are a reality you have to get used to. If you can get past the rip-off merchants on the waysides, though, Turkey has plenty more with which to repay your determination. Unlike much of the Mediterranean, Turkey’s western coast has yet to be colonized en masse by untold hoards of western tourists. Certainly places like Marmaris and Fethiye have their fair share of outsiders, but, on balance, Turkey has more of its traditional fishing villages, quiet quays and sheltered coves left untouched than almost any other Mediterranean coastline. Getting there demands a car — bus services are cheap but irregular — but it’s well worth it. 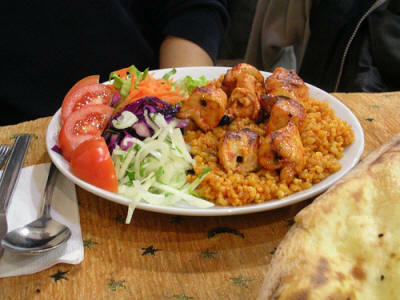 Turkish food is also a revelation. Kebabs have an undeserved reputation in much of the world for being greasy, fattening and generally unappetizing. A good Turkish kebab, though, is a world away from the stale pitas stuffed with slimy lettuce and unidentifiable processed meat served in a polystyrene containers from New York to Frankfurt. Being a Muslim country, there is no pork, of course, but the quality of the lamb and the chicken more than makes up for that. Much of the meat sold by the restaurants is sourced locally and reared in a fashion to which the tag “free range” takes on a whole new meaning: often, as you settle into your seat in almost any rural café, the owner’s chickens will be pecking around your feet and his goats will be fighting with each other in front of the bar. For some, this level of intimacy with one’s food can seem a little disconcerting, but at least you can take comfort in knowing exactly where the lamb in your kebab has come from. Even though it sometimes does a good job of hiding it, Turkey offers a rich and very accessible range of experiences. It is edgier than almost any other European destination, offering plenty of facilities for tourists but not so many that you feel like you’re being coddled. Wherever you go, Turkey will force you out of your comfort zone. You could spend your whole time laying on the beach sipping outrageously overpriced Mojitos if you wanted, but you’d be missing the entire point. This truly is a country that needs to be explored to really be understood.